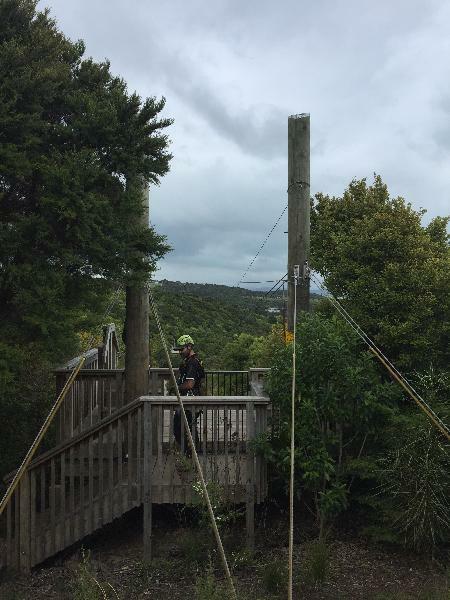 EcoZip Adventures, set on the beautiful sub-tropical island of Waiheke, is a playground for nature lovers of all ages. Your eco-adventure begins when we pick you up from the ferry terminal and take you on a 20-minute Waiheke Highlights Tour, which showcases the island’s very best beaches and vineyards as you make your way to Zip-HQ, located on the apex of Waiheke’s pretty Trig Hill. Marvel at the spectacular 360 degree views of Waiheke Island and beyond from our viewing deck before making your way across the our airbridge to our take-off tower. After getting geared-up, and a short briefing, you’re all set to enjoy the first of our three, 200-metre long, state-of-the-art flying fox ziplines! 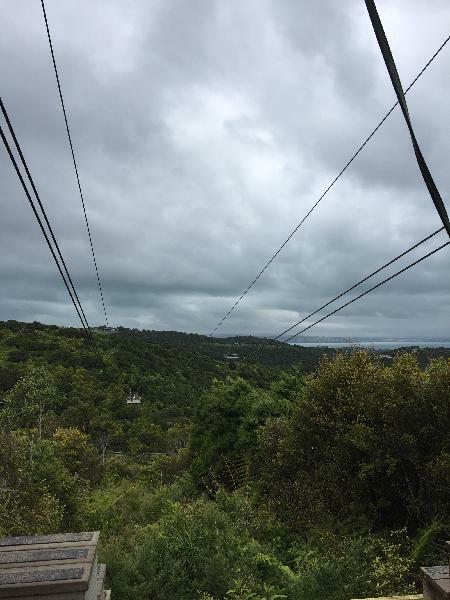 Feel the rush of zipping at speeds of up to 60kph as you are suspended high above the native forest canopy, with pristine beaches and Auckland City as an amazing backdrop. Our dual ziplines mean you can share the fun as you zip side-by-side with a friend – making this the most unique social activity! Our expert guides do all the work, leaving you free to simply relax in your comfy harness and admire the spectacular birds-eye views. During our return to Zip-HQ you’ll be treated to an easy guided nature walk through ancient forest, where you’ll hear about the history of Waiheke and learn about our conservation of this incredible natural environment. Our complimentary drop off service to a number of Waiheke locations will enable you to make the most of the rest of your time on the island. 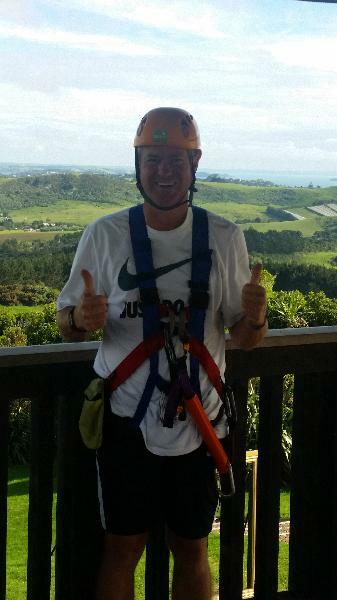 EcoZip Adventures – The most exciting activity on Waiheke – Book yours today! What an experience! Such a brilliant team, so friendly and fun but very professional with it! 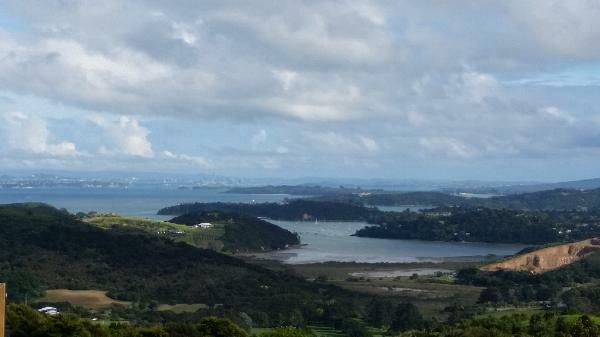 Would definitely recommend it to anyone visiting Waiheke! Terrific fun and the staff were super professional and friendly at the same time. 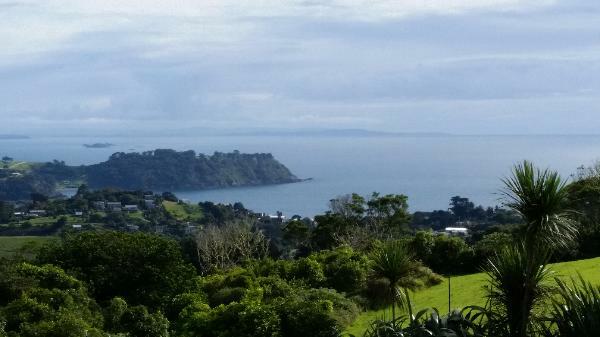 Your message has been sent to EcoZip Experience - EcoZip Adventures Waiheke Island. You should hear from them shortly. 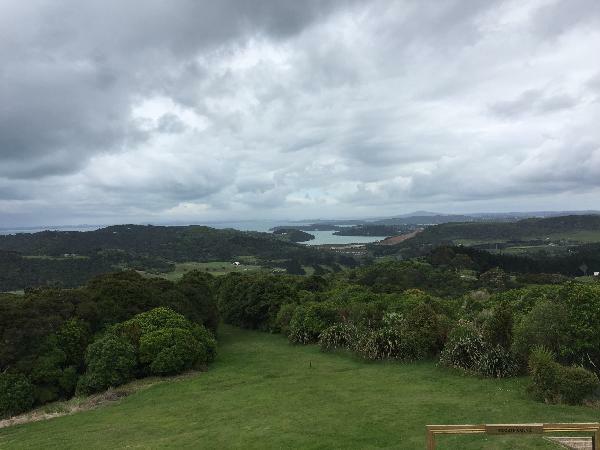 Please note: all responses will come directly from EcoZip Experience - EcoZip Adventures Waiheke Island, and not the team at Bookme.